United Yacht Sales Emerald Coast would love to guide you through a personal showing of this 36' Chris-Craft Launch 36 2017. 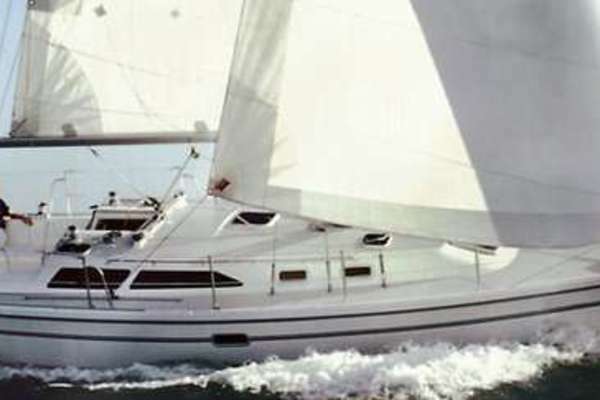 This yacht for sale is located in St Petersburg, Florida and priced at $587,800. For a showing please contact us by filling out the form on this page and we will get back to you shortly! The largest of the family, the Launch 36 entertains 15 with a fully equipped console kitchen, and sleeps 5 in a luxurious forward berth and separate mid-cabin quarters. A full bathroom with shower invites guests to settle in. Sumptuous triple-wide seating at the helm lets the captain and 2 guests enjoy the immense power delivered via integrated stern drive or outboard engines. In the Hard Top edition, maximum topside enjoyment is guaranteed, regardless of the conditions.